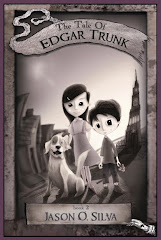 We have received numerous inquiries about The Tale of Edgar Trunk quizzes for the Accelerated Reader program. The answer (for now) is that Edgar Trunk is not currently available for points through this program. 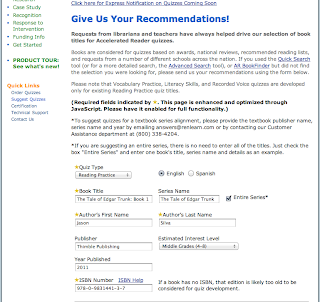 If you are an educator (or a reader who loves the series -- in which case you can ask your teacher or librarian), recommending The Tale of Edgar Trunk is SUPER EASY and takes less than 30 seconds. Not to mention, it makes you feel REALLY awesome inside. Just follow this link to the Renaissance Learning site & fill out the form! 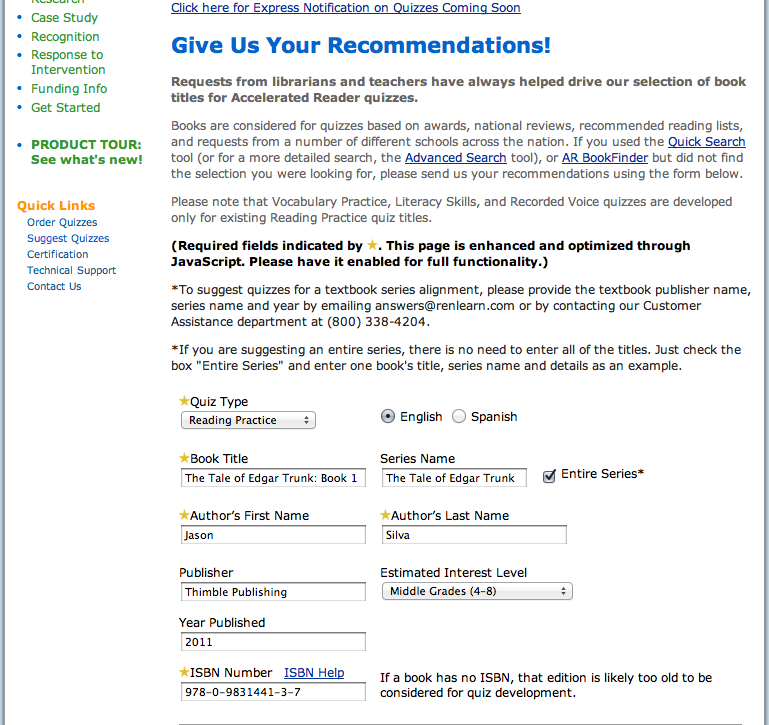 Here is a screen grab of what it looks like. Let's make this happen TOGETHER!